Skin cancer is the most common form of cancer, affecting 1 in 5 Americans over the course of their lifetime. More than 3.5 million cases of skin cancer are diagnosed each year, more than the combined incidence of cancers of the breast, prostrate, lung and colon. Sunny states, such as Florida, have an even higher incidence of skin cancers. Skin cancer is of 3 major types. Basal Cell Carcinoma, or BCC, is the most common type. It is slow growing and less aggressive than the other types. Squamous Cell Carcinoma, or SCC, is second, and can be more aggressive, and even metastasize/spread in certain cases. The third type is Melanoma, the most dangerous skin cancer, and this type needs more aggressive treatment as well as evaluations from additional medical professionals. Most skin cancers are diagnosed by a dermatologist, after a full skin examination. Suspicious lesions will be biopsies, and if positive for skin cancer, may be referred to a plastic surgeon for treatment. 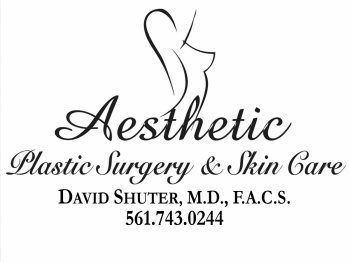 Dr. Shuter has a significant experience in the plastic surgical treatment of skin cancer and has operated and reconstructed thousands of patients in his career. During our initial consultation, he will review your pathology report, and recommend a course of treatment as well as risks and safety information. Most patients choose to have the skin cancers excised surgically, and having the margins evaluated by an expert pathologist under the microscope while still on the operating room table. Based on the pathology, if the margins are positive, additional skin is excised. At this point, closure is planned and reconstruction is performed, usually with a flap technique. Dr. Shuter is well know for his reconstructive and surgical talents, and most patients are amazed how minimal the final effects can be. Dr. Shuter performs all of these surgeries in an accredited facility, at the Jupiter Outpatient Surgical Center, or if necessary, the Jupiter Hospital. Your health insurance plan should cover skin cancer surgery. Our knowledgeable staff will help you with filing your claim as well as pre-certification if required. Call our office for additional information on this procedure, post op care and coverage. We are here to help you every step of the way.